Mason & Vaughan were moving office from Wilmslow, Cheshire to Manchester due to their extraordinary growth which saw them adding as many as 5 new members of staff per week. In addition to needing more room, their legacy infrastructure was starting to suffer with the extra load it was bearing.Their existing AVAYA IP Office had digital handsets and this meant that adding new staff and moving desks constantly was costly and time consuming because of the separate Voice & Data networks. In addition to this, Mason & Vaughan were migrating more applications such as Mail and CRM to the Cloud and this meant that their existing 10 Mb EFM (Ethernet First Mile) Internet connection was not working efficiently. Whilst there was much optimism about the prospect of moving office and updating their systems, there was some trepidation about the move itself particularly because of the numerous incumbent suppliers involved and no internal IT resource. By dealing with one supplier for all communications, the office move was very smooth, delivered on time and with zero downtime. Staff were working normally from their new desks on the Monday morning. Upgrading to IP Handsets meant less cabling in the new office and a more manageable network for their team to work with in the future which was scalable and flexible. Moving from ISDN to SIP Trunks gives CLI Flexibility so that Mason & Vaughan could keep all their existing 01625 DDI’s even though they had moved to the Manchester (0161) area. They can now increase the number of channels instantly to reflect growing head count. 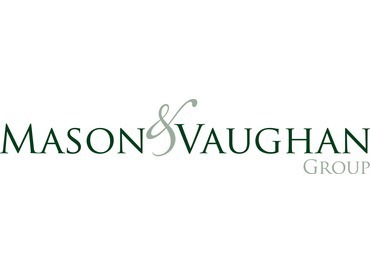 The extra internet bandwidth ensures that Mason & Vaughan can benefit from more Cloud applications. Ongoing costs have been reduced significantly by consolidating services, which has also meant that day-to-day management is easier with just one supplier to turn to.